Rob Niven is the Founder and Chief Executive Officer of CarbonCure Technologies, the global leader in carbon dioxide (CO2) utilization technologies for the concrete industry. Rob has the simple goal of making concrete sustainability both profitable and easy for industry. Under his direction, CarbonCure and its partners are achieving their mission to reduce 500 megatonnes of CO2 emissions annually. Rob has received countless international awards recognizing his leadership in sustainability, innovation and technology development including the Canada’s Top 40 Under 40, the 2016 Ernest C. Manning Innovation Award, the Cleantech Group’s Top 100 Global Cleantech Companies and the BloombergNEF New Energy Pioneers Award. Rob holds an MSc in Environmental Engineering from McGill University and a BSc in Chemistry from the University of Victoria, British Columbia. In his spare time, Rob is an avid outdoors enthusiast and devotes his time to nature conservation and environmental community events. As Chief Technology Officer, Kevin makes the link between science, innovation and commercialization. 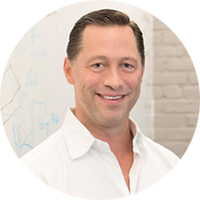 Kevin is responsible for all aspects of CarbonCure’s technology development and intellectual property. He also guides the collaborative process with external researchers, industry partners, associations, and codes and standards organizations. 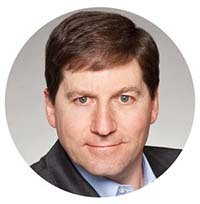 Kevin was formerly the Director of Sustainability and Commercial Innovation at Lafarge North America. In his previous positions he was responsible for commercial development, management and policy development of various innovation projects and product changes. Kevin has served on the board of directors for the Canada Green Building Council (CaGBC) and the Strategic Development Council of the American Concrete Institute, working on industry issues related to sustainability. Kevin is a native of Eastern Canada and a graduate of the University of New Brunswick in Civil Engineering. As Executive Vice President of Corporate Development at CarbonCure Technologies, Jennifer oversees the management and operations of the company to ensure the team meets its ambitious growth targets. Jennifer helps guide the team in developing new technologies to meet the growing demand for products made with carbon dioxide, which is expected to be worth $1 trillion by the year 2030. Jennifer is a CSA-Certified Greenhouse Gas Inventory Quantifier, and has been involved in many boards and committees including the HPDC Board of Directors, USGBC Supply Chain Optimization Working Group, Canada Green Building Council and Dalhousie University’s Faculty of Management. Jennifer holds a Bachelors in Science from McGill University, as well as a Masters in Chemistry and an MBA from Dalhousie University. Sean directs CarbonCure’s technical development and intellectual property activities. His focus is on the scientific and materials performance aspects of the company’s offerings. Sean has held concrete materials research positions at the University of Toronto and Heriot-Watt University in Edinburgh. His past work, study and research positions have spanned various concrete-related topics, including the chemistry of cement hydration and cement and slag carbonation. Sean’s expertise also lies in quantifying carbon emissions associated with cement and concrete. Sean holds a PhD in Civil Engineering from McGill University, an MSc in Mechanical Engineering from the University of Waterloo and a BSc in Materials and Metallurgical Engineering from Queen’s University in Ontario. When not consumed by research, Sean enjoys recreational running, reading, cooking and reading cookbooks. As a concrete innovator, Dean is responsible for the engineering and product development activities at CarbonCure. Along with industry partners, Dean has successfully developed and commercialized technologies for the concrete sector that have been adopted in international markets. His background includes development of concrete macro-synthetic fiber reinforcement, material characterization of fiber reinforced concrete, self consolidating and self leveling fiber reinforced concrete, and green concrete technologies. Dean completed his BEng at TUNS in Halifax before completing his PhD at Dalhousie University. Outside of work, Dean enjoys traveling, outdoor activities and motor sports. Ted brings a wealth of experience as a sales and marketing lead with Oldcastle Precast, Contech Engineered Solutions, and The Fort Miller Co., Inc. As Vice President of Sales and Marketing, Ted is responsible for accelerating CarbonCure’s continued growth. Ted completed his BSc in civil engineering at Ohio University, MSc in civil engineering from the University of Cincinnati, and an MBA from The University of Texas at Dallas. Jack is a Technical Executive with 40 plus years of experience in concrete technology, quality assurance and new product development. He has a proven cross functional expertise with implementation of best practices, processes for mix evaluation, optimization and performance concretes. Prior to CarbonCure, Jack consulted for Icrete, W.R. Grace and others. Jack was Vice President of Quality Assurance and New Product Development for Lafarge North America, Business Performance. Before joining Lafarge, Jack worked for Acres International and held various positions of increasing responsibility, from Laboratory Supervisor to Senior Concrete Advisor on major hydroelectric projects in Canada, Africa and India. David Green founded Carmanah Management Corporation, a private corporation incorporated in 1988, in Victoria, British Columbia. David spent three years as a Technical Expert with the Commonweath Secretariat at the University of the South Pacific in Fiji, and then returned to start Carmanah Management. Carmanah has been involved in the development and commercialization of technology since 1993. Carmanah also runs a Technology Centre to house technology companies. In addition, David is the founder of the publicly traded company Carmanah Technologies Corporation, which provides signalling and solar lighting solutions for infrastructure projects around the world. David is a professional engineer who graduated from the Royal Military College in Engineering Physics (B.Eng. ), and from the Institute of Oceanography at the University of British Columbia (Ph.D). Over the last 25 years, Chris has started or led six technology-based companies that span industries ranging from medical device manufacturing to design automation software to energy technology. Prior to joining BEV, Chris was the Chairman & CEO of CoalTek, Inc., a clean coal technology company. During his 12-year tenure at CoalTek, Chris led the company’s entry into the China market. Chris continued to serve on the board of CoalTek and CoalTek’s joint venture company in the PRC through 2018. Chris was a three-time appointee to the National Coal Council, a special advisory committee to the US Secretary of Energy, under both the G.W. Bush and Obama administrations. He is an investor in and a member of the board of directors/advisors for a number of traditional technology, energy/environmental technology and materials companies. Chris earned his bachelor’s degree in marketing and finance from Boston College. Chris lives in Wellesley, MA with his wife and four children. As Chairman of the Industry Advisory Council, Bill Holden helps guide CarbonCure on the issues that matter most to today's concrete producers. Holden possesses over thirty years of executive and general management construction materials experience in aggregates, ready mix, masonry products and building materials. Bill served as the President of Block USA, one of the leading concrete masonry producers in the country, and as President of Couch USA, a major producer of ready mix, block and building materials serving the Southeast USA. As well, Bill was formerly Chairman of the Board of the National Concrete Masonry Association (NCMA) and Alabama Concrete Industries Association, and Chairman of the NCMA’s Long Range Planning Committee. Bill currently serves as a board member of The Concrete Industry Management Program. Andrew Haughian joined Pangaea in 2006 and has almost 20 years of energy and industrial experience. Andrew began his career in the oil and gas industry before transitioning into engineering risk management consulting. He has a deep understanding of the challenges around advanced materials commercialization. Andrew serves on the board of CarbonCure Technologies, ESS Inc. and Aspect Biosystems. He previously served on the boards of RSI Inc., Tivra Corporation and Boulder Ionics. Andrew previously served as the Chairman of the NREL Industry Advisory Board and as an editorial board member of the Journal, Translational Materials Research. Andrew holds a Bachelor of Applied Science (Mechanical Engineering) from the University of Toronto and a Masters in Business Administration degree from the University of British Columbia. Tony Van Bommel is Senior Managing Partner in the Industrial, Clean and Energy (ICE) Technology Venture Fund in BDC Capital’s Toronto office. He is responsible for overseeing the ICE Fund investments and maximizing value creation across the portfolio. Tony has been with BDC Capital since 2001 and with the ICE Fund since its inception in 2011. 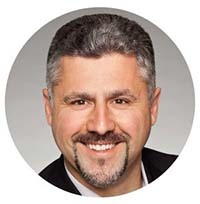 Prior to joining BDC, he spent four years as Senior Investment Manager with InNOVAcorp, a General Partner for the Nova Scotia First Fund, an early stage knowledge‑based venture fund. For 10 years prior to this, he worked as a lawyer and partner in the business law firm Little & Wright in London, Ontario. Tony has held multiple directorships in both public and private emerging growth companies across Canada. Tony was recognized in 2015 as one of Canada’s CLEAN50 and in 2014 as one of the world’s most influential environmental investors by the Journal of Environmental Investing. Tony received his Bachelor of Laws (LLB) from the University of Western Ontario where he won the Pitney Bowes Award for the top graduating law student in Ontario who combined academics, athletics and service to the community. Chief Executive Officer & Founder, CarbonCure Technologies Inc. Rob has received countless international awards recognizing his leadership in sustainability, innovation and technology development including the Canada’s Top 40 Under 40, the 2016 Ernest C. Manning Innovation Award, the Cleantech Group’s Top 100 Global Cleantech Companies and the BloomnbergNEF New Energy Pioneers Award. Rob holds an MSc in Environmental Engineering from McGill University and a BSc in Chemistry from the University of Victoria, British Columbia. As Chairman of the Industry Advisory Council, Bill Holden helps guide CarbonCure on the issues that matter most to today's concrete producers. Bill possesses over thirty years of executive and general management construction materials experience in aggregates, ready mix, masonry products and building materials. 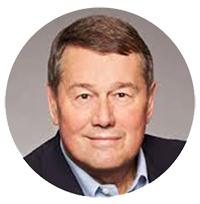 As a member of CarbonCure's Board of Directors and formerly Interim Vice President Sales at CarbonCure, Bill brings a thorough understanding of CarbonCure's technology and value propositions to the Council. Chief Executive Officer, US Cement, Lafarge Holcim Ltd.
As Chief Executive Officer of US Cement at LafargeHolcim, the world’s largest cement and concrete company, Jamie Gentoso provides a global perspective in helping CarbonCure position its value proposition to serve the entire concrete value chain. Prior to assuming her current position at LafargeHolcim, Jamie was responsible for the concrete admixture division at Sika, an international construction products company. Jamie, a professional engineer, is based in Chicago and holds an MBA and BSc in Civil Engineering from the University of Michigan. Bob Haldrup is the President of the North Division of the family-owned Irving Materials, Inc. (imi), which has 155 active ready mix locations spanning through the states of Indiana, Ohio, Kentucky and Tennessee. Founded in 1946, imi has been at the forefront of concrete innovation, including the development of the front discharge concrete mixer that is now an industry staple. In January 2019, imi announced the adoption of the CarbonCure Technology across 15 of its concrete plants. Alan Wessel is President of the US division of Thomas Concrete, a leading supplier of high quality ready-mix concrete in the Southeast USA. Thomas Concrete is known for its innovative concrete solutions and its commitment to sustainability. Under Alan’s direction, Thomas became the worldwide leader in the production of concrete made with carbon dioxide (CO2). Thomas Concrete is also a member of the CarbonCure XPRIZE Team, and has supplied over 1 million cubic yards of concrete made with the CarbonCure Technology to construction projects, resulting in over 25 million pounds of CO2 saved. As Vice President of Business Development at Command Alkon, the global innovation leader in integrated software solutions for the construction materials industries, Steve Cox provides insight into the unique sales and customer service needs of the concrete industry. Steve brings additional concrete sales experience as the former North American Sales Director for W.R. Grace’s Concrete Admixture business. Former Vice President, U.S. Concrete Inc. Prior to serving as Vice President of U.S. Concrete from April 2017 to October 2018, Jeff Davis served as Vice President and General Manager of U.S. Concrete’s northern California business units, including Central Concrete. Under Jeff’s direction, Central Concrete consistently spotted and capitalized on emerging industry trends, becoming a leader in low-carbon concrete solutions, developing thousands of high performing, low-carbon mixes and the first ready-mixed concrete company in North America to publish Environmental Product Declarations. In addition, Central Concrete was a founding member of the Carbon Leadership Forum and actively participates in legislative actions to streamline the adoption of sustainable technologies, products and processes. Rob Niven is the Founder and Chief Executive Officer of CarbonCure Technologies, the global leader in carbon dioxide (CO2) utilization technologies for the concrete industry. Niven has the simple goal of making concrete sustainability both profitable and easy for industry. Under his direction, CarbonCure and its partners are achieving their mission to reduce 500 megatonnes of CO2 emissions annually. Want to join a winning team that's making a difference? Contact us for career opportunities.